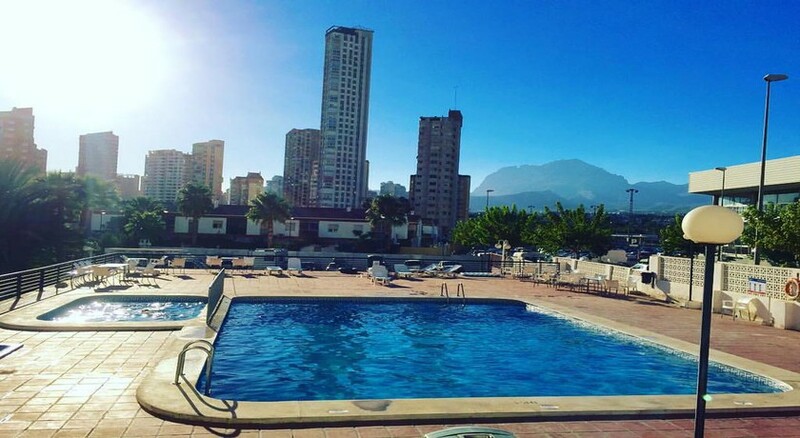 Located in the popular Rincon de Loix area of Benidorm, the Apartamentos Luxmar offer easy access to the Levante beach, as well as the many nightlife and shopping opportunities that this Spanish tourist town offers. With a selection of One Bedroom apartments to suit couples, families with children and groups of travellers, this property provides basic accommodation with great on-site amenities for you to enjoy some time in the sun. The property is close to the main sights in Benidorm and also has an outdoor swimming pool, bars and the apartments have a furnished kitchenette. The Apartamentos Luxmar is a popular spot for tourists who want to make the most of their stay in Benidorm. 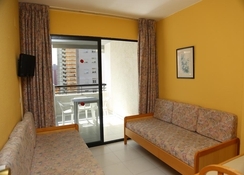 The Apartamentos Luxmar are suited if you want to experience what Benidorm has to offer. There is plenty to see and do in the surrounding area such as the Aqualandia Water Park (0.7 miles), Casino Mediterraneo Benidorm (0.3 miles), Terra Mitica Theme Park (3.2 miles) and the Plaza Mayor Square (1.7 miles). There are golf courses which are easily reachable from this location including the Las Rejas Golf Course which is 3.3 miles away and the Alicante International Airport is a distance of 30 miles. The Apartamentos Luxmar offers One Bedroom apartments which are suited to a range of travelling parties from couples to families with children. 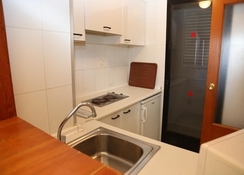 The apartments have a separate living area as well as a sofa bed, satellite TV, air conditioning and also have a kitchenette with hob, coffee maker and a microwave. There is paid Wi-Fi available at this location too. 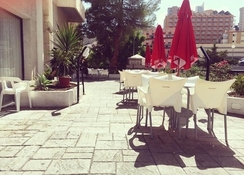 There is an on-site bar at the Apartamentos Luxmar which provides a selection of refreshments as well as free Wi-Fi access. 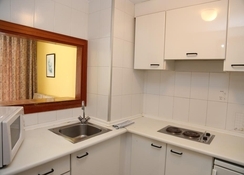 The apartments have a fully-furnished kitchenette where you can prepare your own meals and the location of the property means you are close to a range of lively bars and restaurants in the surrounding area. 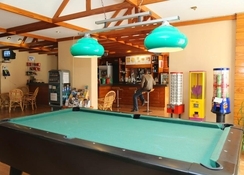 Apartamentos Luxmar has an outdoor swimming pool as well as a solarium and TV room. The Levante beach, which is just a short walk away, has a selection of watersports you can take part in and the splash-worthy Aqualandia Water Park is just 0.7 miles away from the property – making for a great day out with the kids. There is a casino within walking distance as well and if you fancy getting in 18 holes on a popular Spanish golf course, then the Las Rejas Golf Course is just 3.3 miles away. In addition, the Villaitana Golf Course is 4 miles from the Apartamentos Luxmar.